Burnaby, September 17, 2018: Children and families in Cache Creek and Mackenzie are getting their first look at design plans for their new, $100,000 play projects, as winners of this year’s BCAA Play Here, a community investment initiative that gives kids in BC better places to play and learn. BCAA and partnering play space experts work closely with each community to design vibrant new playgrounds that can serve as a central hub to not only brings kids together, but entire communities as well. 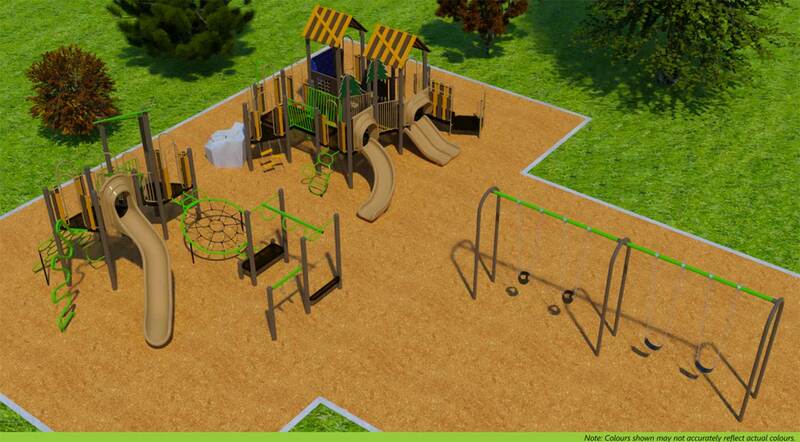 Plans for the third winning community playground at École North Oyster in Ladysmith are still being finalized. Children and families in the Cache Creek and Mackenzie communities will see their play spaces built this fall, followed by Ladysmith next Spring. The playgrounds include extraordinary features geared towards challenging, imaginative and inclusive play and accessibility. Interconnected circuit features. Allows children to move from one element to another without having to set foot on the ground with creative entry and exit points throughout the circuit. Novel sliding, climbing and balancing structures. Each feature has varying angles and heights to offer different sets of challenges. Roof-covered decks. Provides children much needed shade and protection from the sun and hot, dry weather typical for Cache Creek. Sensory Dome. 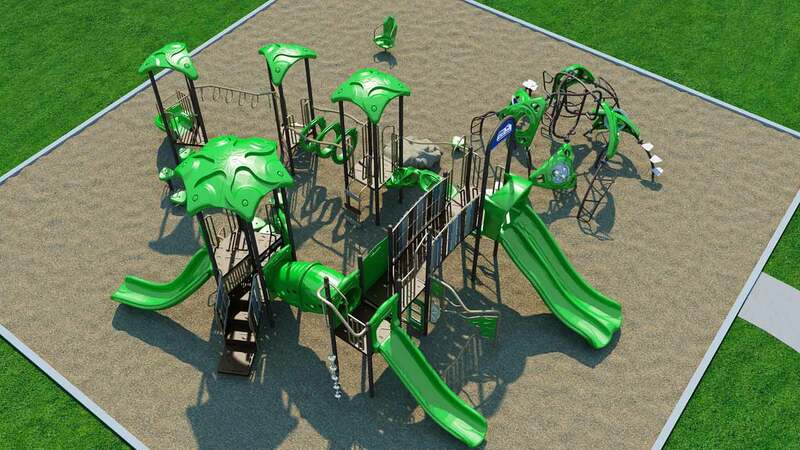 An inclusive play structure featuring various routes of travel while climbing. Includes an accessible element that provides auditory, visual and tactile experiences through interchangeable panels. Natural-themed playground with duo structures. Each separate structure is designed for two age ranges, 2-5 years and 5-12 years to provide suitable challenges for each age group. Designed with toddlers in mind. Height appropriate decks, climbs and slides. Woodland café. A fun storefront panel for imaginative play. Various climbing features. Provides different levels of challenges for older children between 5-12 years. Learn more about this year’s BCAA Play Here winners.